Laura Roullet, graduated from « Ecole Hotelière de Lausanne », management training at Four Seasons Chicago. Running the Bellevue with his family since 1998. Still improving the service and quality, maintaining an authentic local mountain spirit. 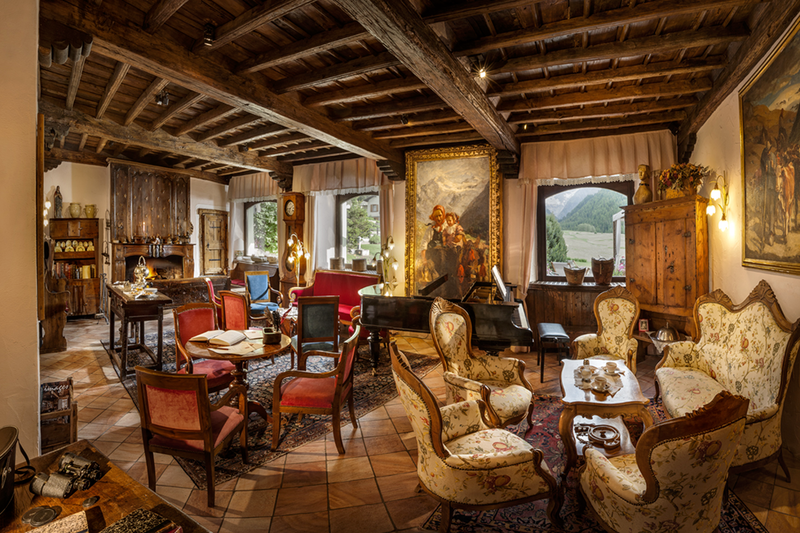 The Bellevue was founded in 1925, three years after Gran Paradiso National Park was created from the historic hunting reserve frequented by the Royal Family. In 1926 a law was issued protecting Italian areas of great natural beauty which prohibited further construction on the Meadows of Sant’Orso. 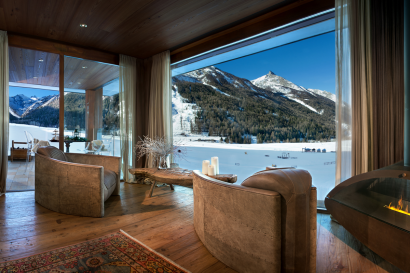 Hence, Bellevue stands in a privileged position: enclosed by the Meadows of Sant’Orso and affording a spectacular vista over Gran Paradiso Glacier. Despite being refurbished and modernised many times over the course of time, this old abode still maintains an atmosphere generally associated with bygone days. Crowned by the highest mountains in Europe, Aosta Valley is renowned for its snow-clad peaks and perennial glaciers, green pastures, wild mountain streams gushing over steep rocks, picturesque villages with stone roofs, its industrious valley floor and especially, Gran Paradiso National Park. 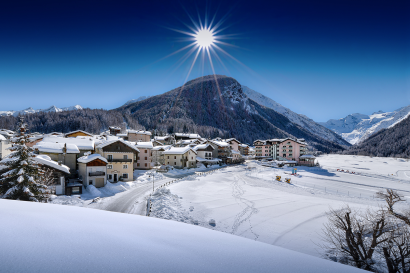 Cogne, deemed the capital of Gran Paradiso National Park, is a fairy-tale mountain village counting 1,400 inhabitants who have skilfully preserved the traditional features and aspect of this alpine community. It overlooks the immense Meadows of Sant’Orso, which, in summertime are swathed in blooming flowers, and pristine snow crystals in winter. 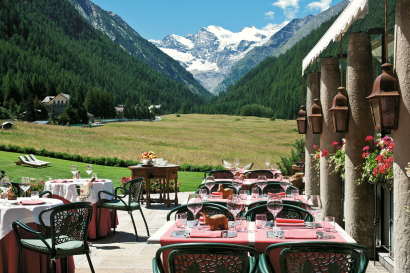 During the summer, many visitors come for the delightful many walks and hikes and to visit the Gran Paradiso National Park with the beautiful flora and fauna. In winter to for Nordic skiing on the famous trails, alpine skiing, icefall climbing and snowshoe excursions. 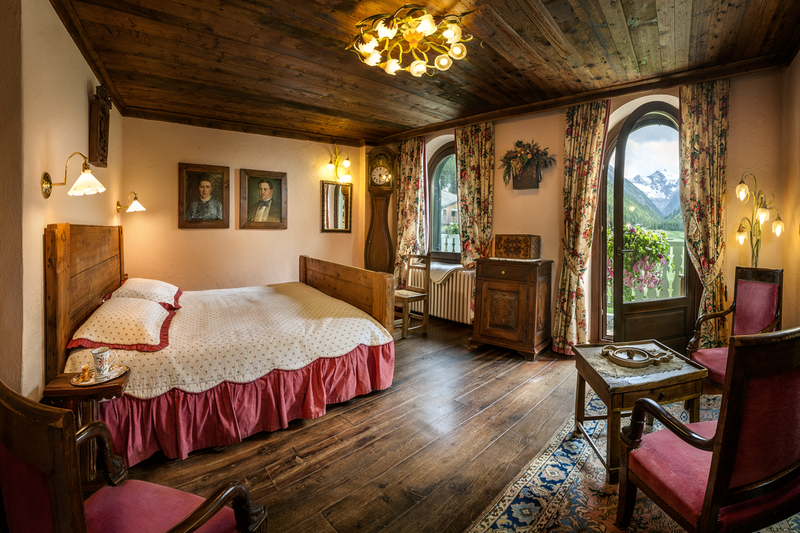 During all the year it is possible to discover the numerous Roman ruins (Aosta is called also “The Rome of the Alps”), visit wine cellars, ride with the new Skyway Cable car over the Mont Blanc. 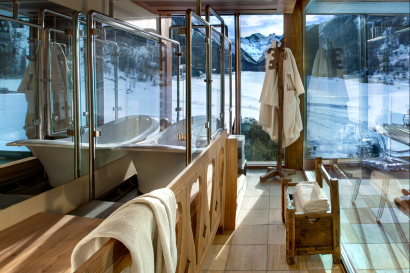 Experience the Spa « Gran Paradiso Springs » with two swimming pools, 6 sauna, 2 steam rooms, salt grotto, ice grotto, gym area. 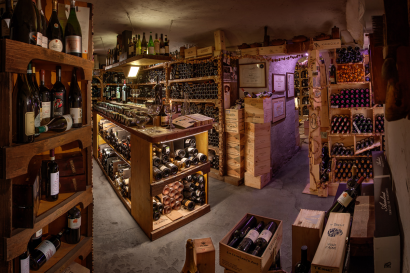 Do a wine degustation with Rino our sommelier and a visit to the cheese cellar with Roberto. Experience the summer barbeque once a week in the alpine pastor. We have a children’s play room. Children are welcome to the main swimming pool and Jacuzzi all day long (8am – 8 pm). 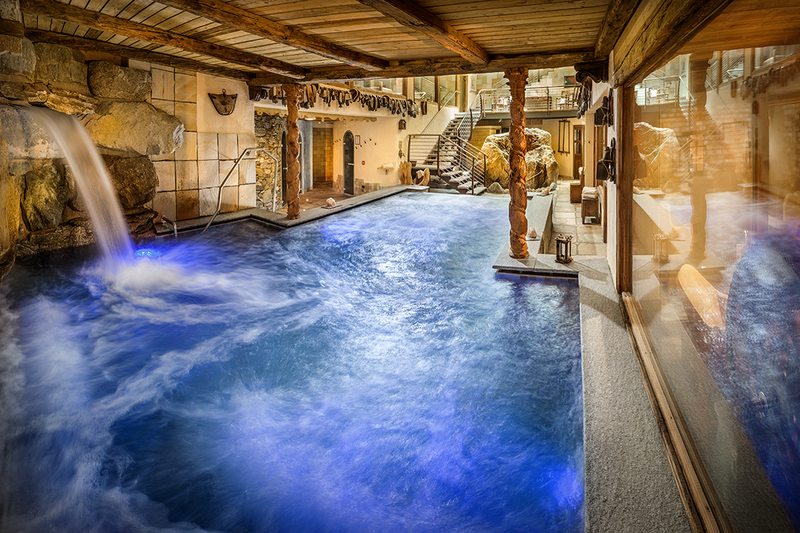 The rest of the spa is reserved to adults (over 14). • 3 junior suite (48 sqm. 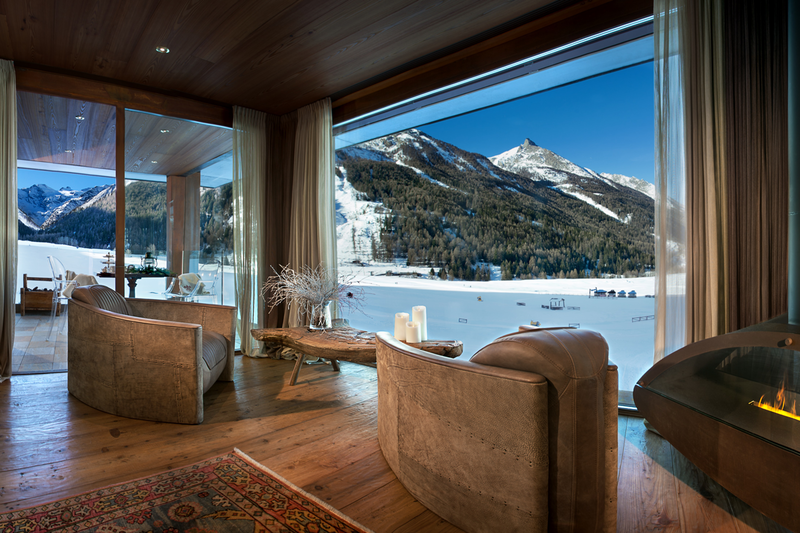 approximately), with balcony and view to the Gran Paradiso. 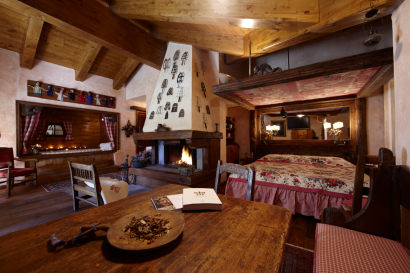 Maximum 2 people • 7 rooms with fire-place and Jacuzzi tub (45/60 sqm). One is in the main building, the other 6 are in the new area (connected to the main building with an inside warm passage). 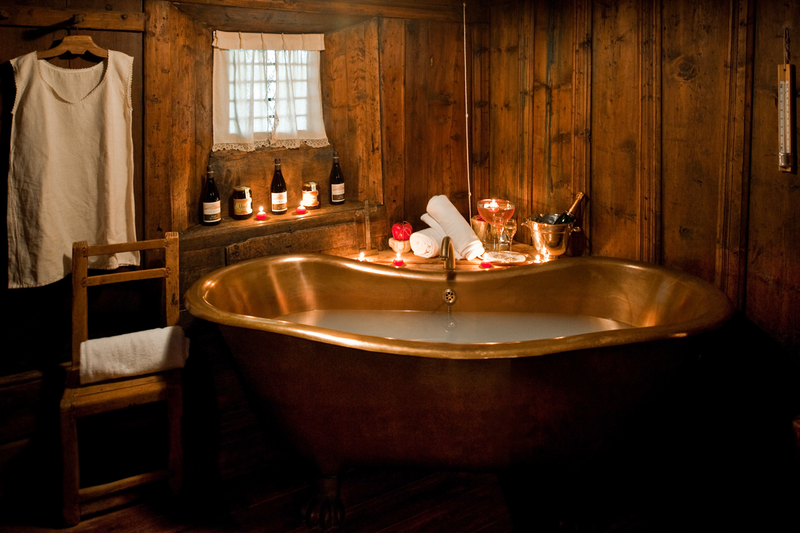 The Jacuzzi tub is located in the bedroom (in the bathroom there is only the shower). The fire-place has not wood but is electric. All of them have a balcony. Some are a one bedroom room, some are suite with the Jacuzzi in the main bedroom and the fire-place in the living room. Some maximum 2 people, in some max. 3 or 4 + crib. • 3 chalet located in front of the main building: Lou Beu and Lou Mayen (sqm. 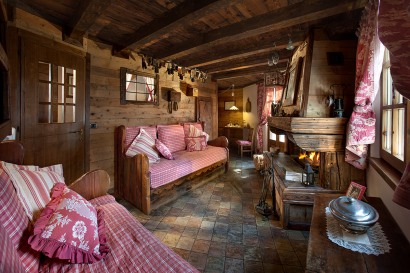 48) with at the first floor the main bedroom with bathroom,, and at the ground floor a living room area with fire-place; La Cheminée (sqm. 92) with two bedrooms, two bathrooms (one with a king size Jacuzzi) and a living room with fire-place. The fire-place has not wood but is electric. • Two swimming pools, one Jacuzzi tub, six saunas, two steam baths, a frosty space, a great saline cave, Technogym fitness area and several rest rooms. • A large range of treatments for face and body and numerous wellness path. 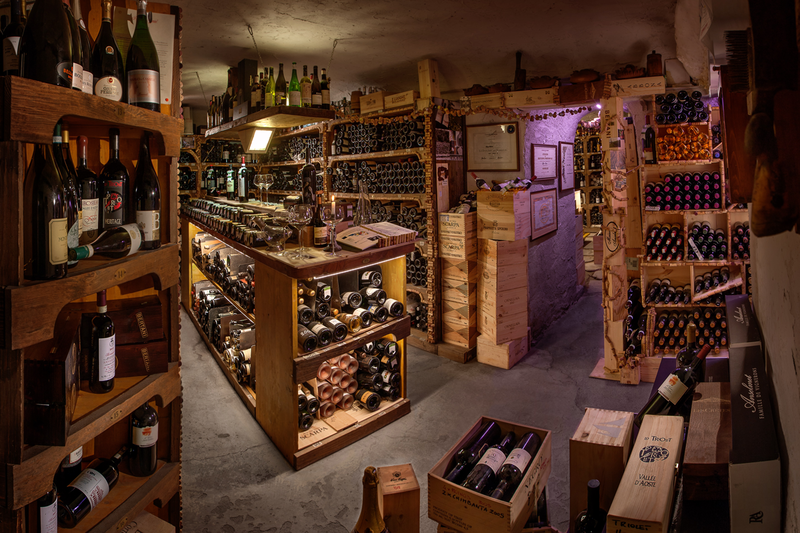 • Once a week our sommelier organize a wine degustation. We have daily activities like yoga, visit to the wine cellar, to the cheese cellar, in the summer a weekly barbeque in our cottage located in the hearth of the national park. 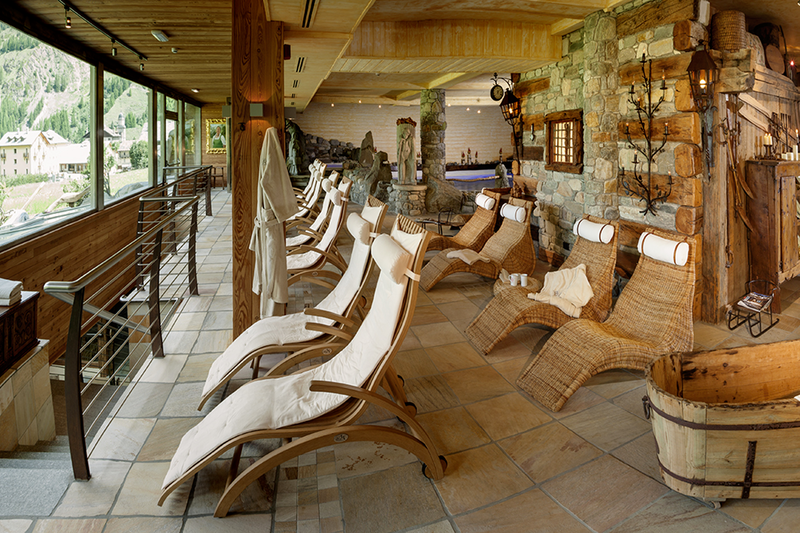 2013 – Won the “Prix Villégiature” as best Hotel Spa of Europe.